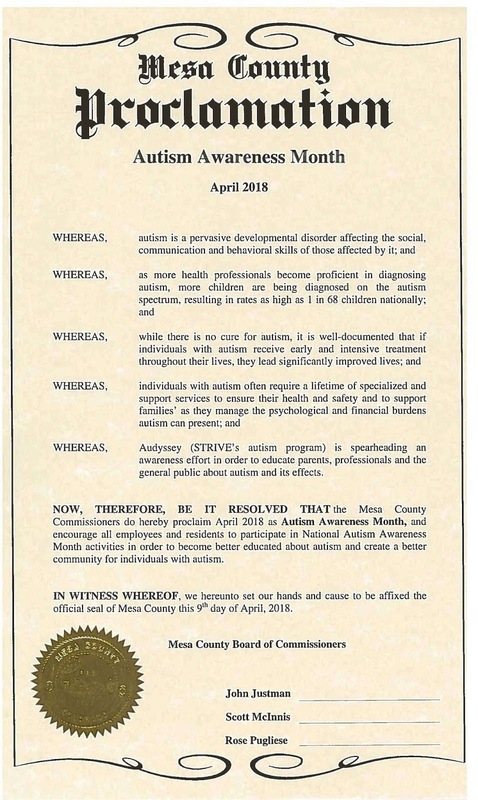 The Board of Mesa County Commissioners presents Doug Sorter of STRiVE with the Autism Awareness Month proclamation. From left, Commissioner John Justman, Doug Sorter, Commissioner Rose Pugliese, Commissioner Scott McInnis. 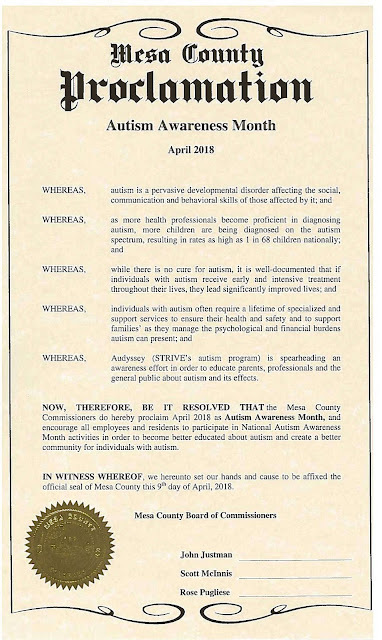 Mesa County Commissioners proclaimed April as Autism Awareness Month and encourage all employees and residents to participate in our municipality's activities and become better educated about autism. Autism is a pervasive developmental disorder that affects social, communication, and behavioral skills. With early treatment, individuals with autism can lead significantly improved lives. Doug Sorter of STRiVE, right, thanks the Mesa County Commissioners for their continued support.